Polish Talmudist; born at Krotoschin about the middle of the seventeenth century. 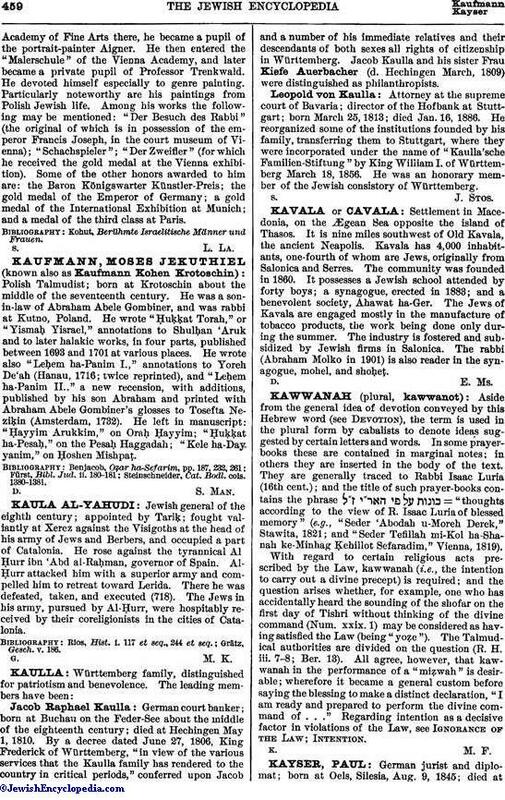 He was a son-in-law of Abraham Abele Gombiner, and was rabbi at Kutno, Poland. He wrote "Ḥuḳḳat Torah," or "Yismaḥ Yisrael," annotations to Shulḥan 'Aruk and to later halakic works, in four parts, published between 1693 and 1701 at various places. He wrote also "Leḥem ha-Panim I.," annotations to Yoreh De'ah (Hanau, 1716; twice reprinted), and "Leḥem ha-Panim II.," a new recension, with additions, published by his son Abraham and printed with Abraham Abele Gombiner's glosses to Tosefta Neziḳin (Amsterdam, 1732). He left in manuscript: "Ḥayyim Arukkim," on Oraḥ Ḥayyim; "Ḥuḳḳat ha-Pesaḥ," on the Pesaḥ Haggadah; "Kele ha-Dayyanim," on Ḥoshen Mishpaṭ. Steinschneider, Cat. Bodl. cols. 1380-1381.